As smart as it can get, this TCL TV is powered by a Quad-Core processor so you can watch fast-moving images and action sequences amazingly crisp and clear. Power processor. With a powerful Quad-Core Processor, you can watch fast-moving images and action sequences that's amazing crisp and clear. A TV that lets you do more. 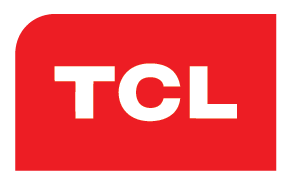 With the TCL Smart TV platform, it allows your TV to run advanced applications and plugins. Full-fledged connectivity. This TV supports HDMI and USB component connectivity with full-fledged video and audio connection. GoLive. Keep up with your favourite shows and access global channels only with your TCL GoLive application. Mobile to TV transfer. The nScreen feature allows you to transfer and share files to your TV by wirelessly connecting it your mobile device.